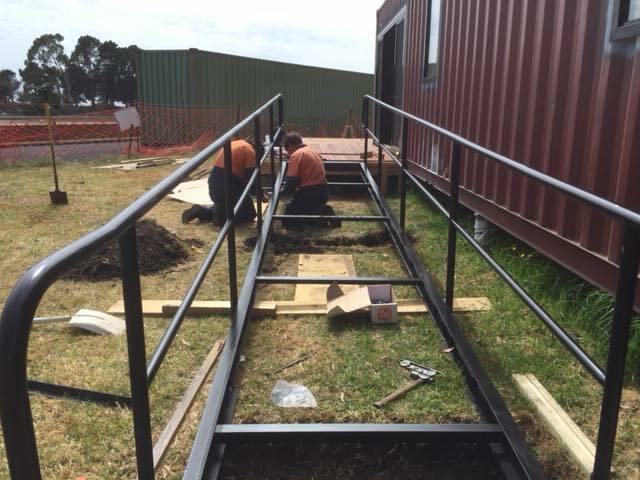 Arrival of the ramp access to our equal access coastal pod. Great work from smith brothers in construction of a very solid piece of ramping! Great team effort from Peter, Aiden and Malcolm in fitting it all in beautifully!